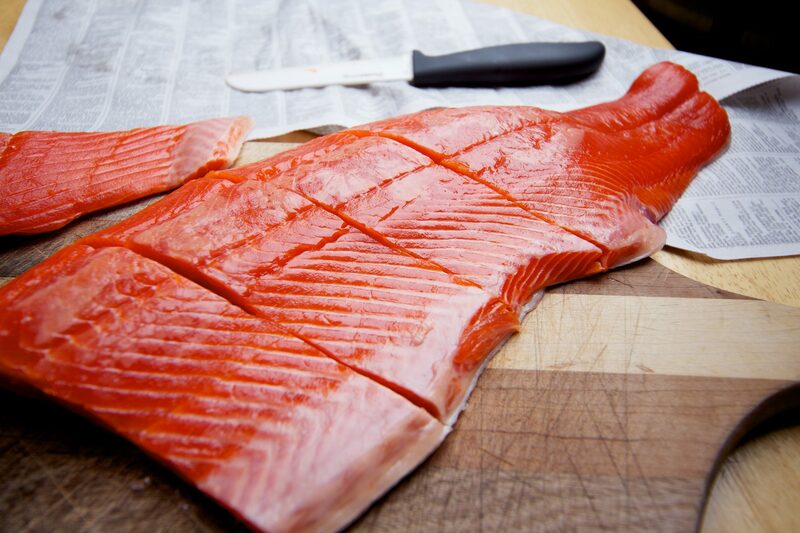 Boost your salmon vocabulary and learn the difference between King, Sockeye, Coho, and more. Salmon is by far the most popular fish in the United States. In 2017, it was the highest value commercial seafood species, equating to $688 million in revenues. But it would probably be safe to say the average consumer knows little about the pretty pink fish sitting atop their dinner plate. Can you tell the difference between your King and Chinook? Trick question: it’s the same thing! To prepare you for this year’s wild salmon season, which just started ramping up in Washington and Oregon’s Columbia River, we spoke to three West Coast seafood specialists to put together a handy guide to every type of salmon one can find in the United States. What to know: It's rich, high in fat, and big. The flavorful meat and thick filets make it one of the most prized among chefs and home cooks. It holds up well on the grill and when pan-roasted in a nonstick skillet, creating a custardy center with a slightly nutty flavor when medium-rare. Like steak, it’s important to temper King salmon filets on the counter 30 minutes to an hour before cooking and allow it to rest when it comes off the heat. King salmon has a far larger geographic range than most other species, stretching down into the Central Coast of California all the way up through Alaska and into Asia. The color of the flesh differs from river-to-river, as well depending on their diets before heading into freshwater to spawn. The hue of the filet can be as red as Sockeye, any shade of pink or orange and, even white or marbled. The latter tends to be found in fish caught in Northern British Columbia and Southeast Alaska. That wide range does not equate to an abundance of King Salmon. It’s one of the rarest species—in 2016, a mere 11,862,243-pound of King salmon were caught in U.S. waters compared to 287,251,862-pound of Sockeye—which is why it’s so damn pricey. 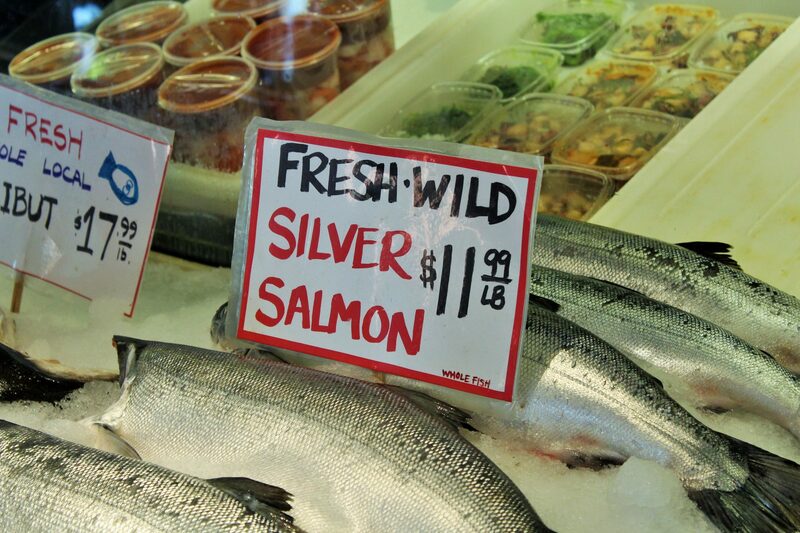 King salmon caught from prestige rivers like Copper or Columbia Rivers can easily fetch $50 a pound retail. Make sure to avoid these mistakes when you’re forking over that kind of money. What to know: Super flavorful, bright red flesh, generally leaner. Sockeye salmon are known for their bright red flesh and their bold, salmon-y scent. 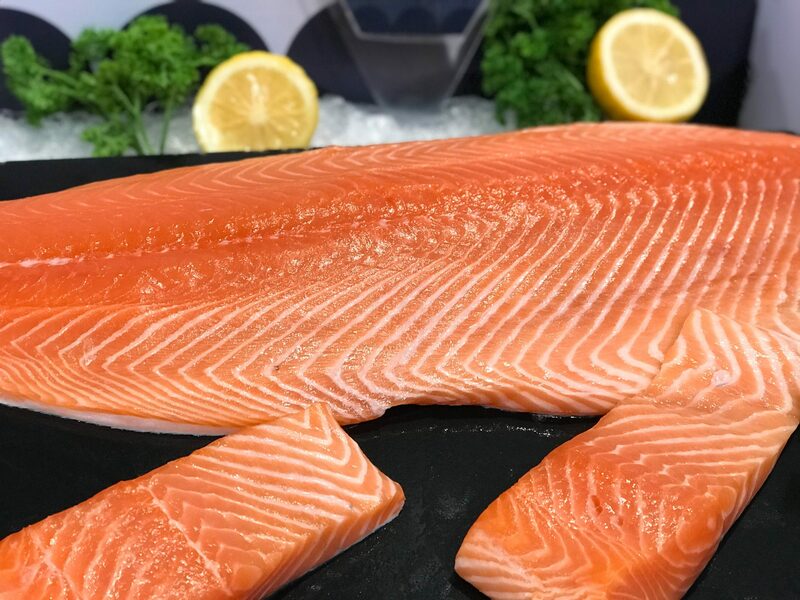 They’re the most flavorful (what some would consider fishy) of all the salmons and are commonly sold smoked, in high-end salmon burgers, and by the filet. Significantly smaller than Kings, not as fatty and generally leaner, full-grown Sockeyes start around five or six pounds on up to 15. Sockeye is also a heck of a lot cheaper, often retailing $15 to $20 per pound, possibly more depending on the river—Columbia and Copper tend to command more because of name recognition. 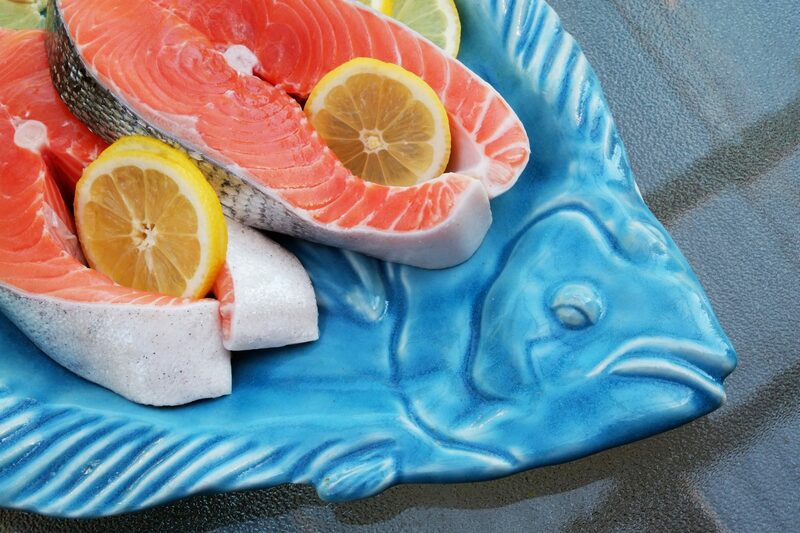 Cimarusti recommends cooking Sockeye fillets (or any salmon filets) on a hot, well-oiled grill, brushed on both sides with a whisper-thin layer of mayonnaise, seasoned with salt and pepper, starting with the skin side down first. What to know: Medium-fat, subtle flavor, great for cooking whole. Coho salmon doesn’t get the recognition that fatty King and bold Sockeye does, but it has a lot going for it. Its medium fat content gives it a mild, subtle flavor that is less in-your-face. While they can get up to 23 or 24 pounds in size, Cohos tend to be smaller, making them a great pick for cooking whole. What to know: Light-colored, mild, low in fat, small. 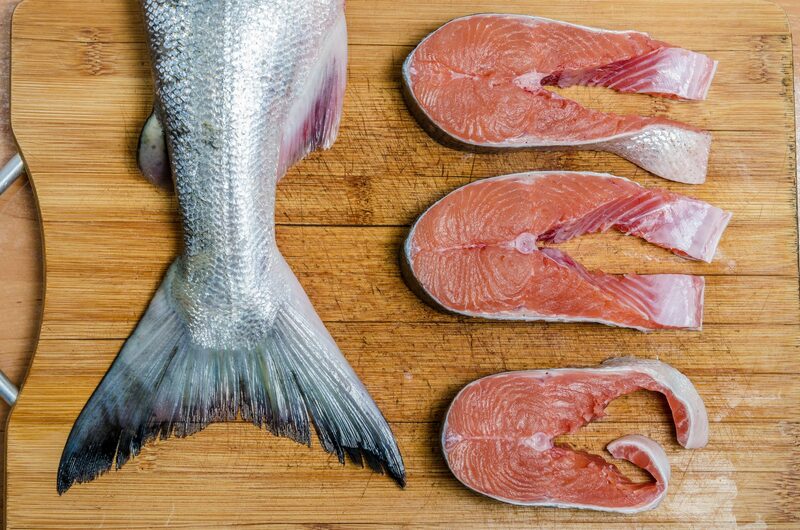 In 2017, U.S. fisherman brought in more pounds of Pink salmon than any other fish: a whopping 495 million, according to National Oceanic and Atmospheric Administration (NOAA). It has a very light-colored, pink flesh that’s very mild and low in fat. 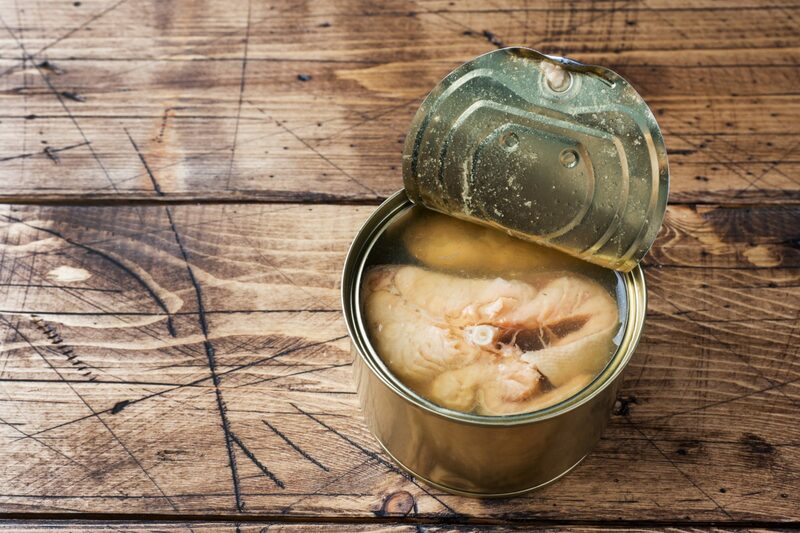 The small fish, weighing between two and six pounds apiece, can be found fresh, frozen, and smoked on occasion, but the vast majority is processed and stuck into a can or pouch. What to know: Small, lower fat, delicious roe. It’s no surprise, given the adoring title, that Chum salmon has been getting the short end of the stick for quite some time. With a pale- to medium-red flesh, lower fat content, and relatively small size (generally around eight pounds), it’s most prized for its roe. “Most Ikura on the market is derived from Chum,” says Cimarusti. What to know: Pink-orange flesh, often affordable, varies in flavor. Salmon is a generic name that gets applied to a couple of different genera and overlaps with trout. All Pacific salmon and Rainbow Trout—which includes Steelhead (a.k.a Ocean Trout)—fall under Oncorhynchus. Suffice it to say, the anadromous Steelhead (like salmon, it's born in freshwater, migrates to saltwater, then heads back to its freshwater birthplace to spawn) falls under the same category as salmon. 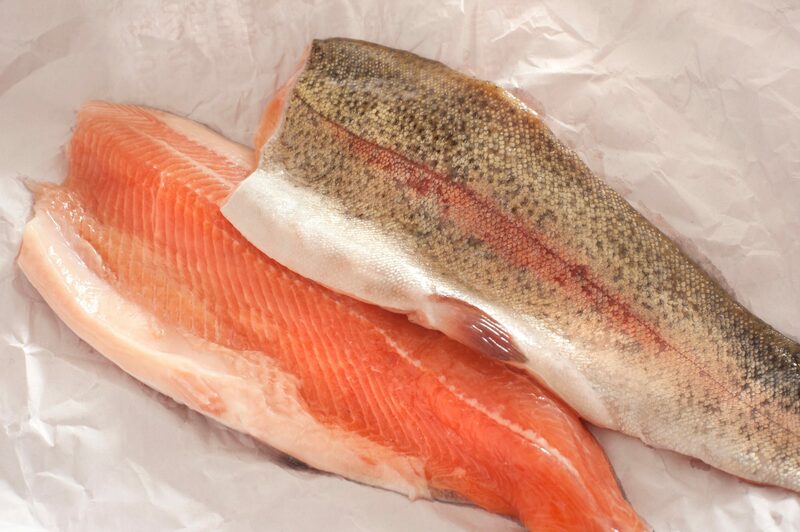 The pink-orange flesh looks remarkably similar to Atlantic salmon filets, but they can grow to over 50-pounds. Typically, Steelhead weigh about eight pounds. What to know: Mild, affordable, farmed, controversial. Atlantic salmon falls under the Salmo genera, which also includes brown trout. Wild Atlantic salmon is no longer commercially available—what you find in stores and on restaurant menus is all farm-raised—but small, endangered populations still live in watersheds that drain into both sides of the Atlantic Ocean.